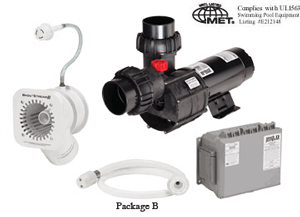 Speck Pumps offers a variety of great SwimJet Systems. Not only do they provide for a fun way to enjoy the swimming pool but they are also a great exercise tool. 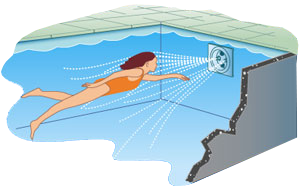 BaduJet & BaduStream II can be installed in any type of pool, large or small, from gunite to vinyl liner. They have no protruding parts ensuring pool user's safety, are very compact and install at minimal cost. Another great SwimJet System by Speck is the BaduStream II. The BaduStream II offers many different options in a wide price range all aimed at pleasing a variety of exercise styles and budgets. Please visit our SwimJet Systems webpage or email your Export Manager for more information including brochures, owner's manuals and a product video.